A great Haitian has passed away. Prominent Haitian historian Georges Corvington. According to the report, he died of heart failure at the age of 88, this Wednesday, April 3, 2013. Mr. Corvington started his writing career in the 70s. His subjects include Port-au-prince, the national Palace and Haiti National Cathedral. These buildings were bot destroyed by the 2010 Haiti earthquake. One of his most successful publication was "Port-au-Prince Through the Ages" , a history of Haiti from the colonization period all the way to the government of Paul Eugene Magloire in 1956. 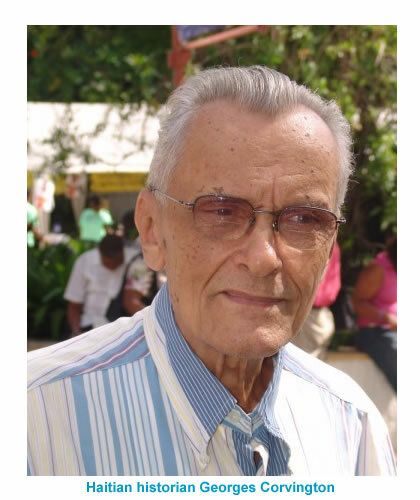 Longtime friend of Corvington, Georges Michel, said that "He was the greatest living Haitian historian". As to President Michel Martelly, " Haiti has lost a treasure of inestimable value, with the departure of Georges,".